Peace and Quiet in your Ocean Backyard while enjoying the Beautiful Ocean Views from the Patio,Living Room, Open Kitchen, Master Bedroom and Master Balcony! You can see Jekyl and Cumberland Island from the Master Balcony. Enjoy the Wonderful Breezes from the Ocean, Sit back,Relax, Watch the Ships and Dolphins go by. Cookout on the patio,with a Private Grill,no elevator to get to the grill. Sit in the sun and get a tan. Read a book.Go Biking and Walking on the Desirable and Easy to Navigate Flat Beach. Ocean Breeze Townhomes are Directly on the Ocean. Large three bedroom unit with Unobstructed Ocean Views. Our Ocean Breeze Townhome is Beautifully and Comfortably Furnished with the help and guidance of a Profesional Decorator .The Townhome was Renovated in 2008. The floor is all tile,no wet smelly carpet. If you enjoy Cooking you will really like the Totally Renovated kitchen. The Ocean Front Kitchen has a very Large Deep Sink,Granite countertops,Stainless steel Appliances.The kitchen was renovated with you in mind with a quiet Kitchen Aid Dishwasher,Convection Oven and even a Convection Microwave,when you need 2 Ovens,Not your Average Kitchen. Park at the front door for easy access to the Townhome,No Hot Elevator to get on with lots of people. This two-level townhouse has all the room you will need and is situated on one of the most Desirable areas of the Island.We have 2 Private Master Suites with Very Comfortable King Size Beds in each of the Private King Suites.Both King bedrooms have Flat Screen TV'S. On the first level we have an extra Bedroom with a set of Very Comfortable Twin Beds with a wall mounted flat screen TV. Fine Dining, and Shopping await you. And for the Golfer, St. Simons has plenty of challenging courses to satisfy all who play the game. Calendar is up to date unless we are waiting on deposit. Prefer email contact thru VRBO and we will respond quickly. Tandem parking for 2 cars. Great spot for a family vacation. The townhouse was clean and spacious with everything we needed. Literally just steps from the beach and the view from the master bedroom balcony was beautiful. We hope to stay here again soon! Thank you Beth for letting us stay in your beautiful home. We had a wonderful time! The view and location were amazing. We are ready to come back! This town home felt like it had its own private beach that is much closer than the pictures depict. We could sit on the back deck and watch the kids play in the sand. The location was great for other things on the island, and the helpful owner was only a phone call or text away. We were in town for a wedding but wanted to stay on the beach. This condo is right on the beach; we could hear the ocean from the master bedroom! Very nice condo with all the amenities! Rooms are spacious, kitechen is well appointed... we had everything we needed! Hope to stay here again! 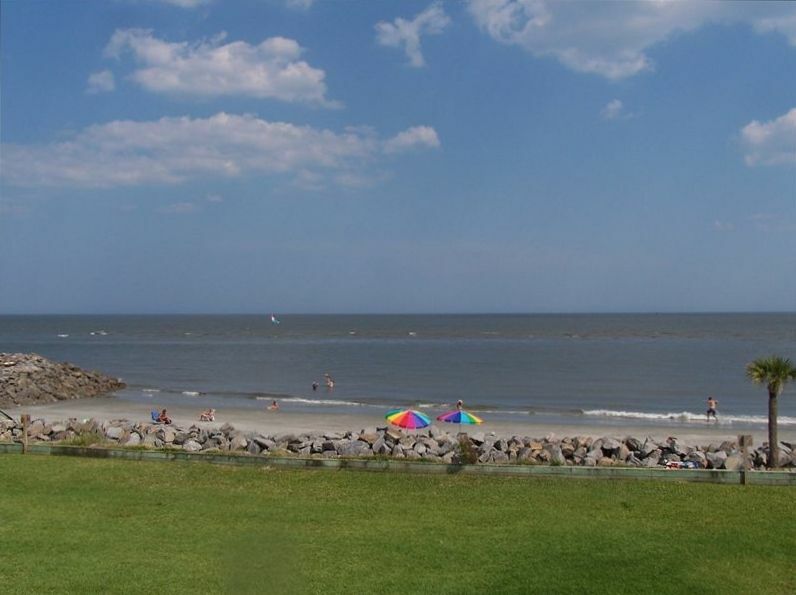 SAINT SIMONS ISLAND, GEORGIA IS A RELAXING ISLAND, NOT A COMMERICAL ISLAND, A GOOD PLACE TO UNWIND AND GET AWAY FROM THE HUSTLE AND BUSTLE OF LIFE! I WISH I WAS THERE RIGHT NOW!